Established in 1967, CBC Metal Merchants Ltd is a family owned business. Our experience of metal recycling in Norfolk over these years leaves us well placed to provide you with a highly efficient and effective service. Over these years, our business has grown significantly, expanding our fleet of vehicles and equipment and also branching out into skip hire services across Norfolk. Three generations of the family still work on site, we are a true family business that will not let you down. Collect, sort and weigh all types of metals. Reduce the size of large items through shearing. Improve ease of transportation and handling through baling/compacting. Trade internationally through our network of contacts getting you the supplier the best possible price. 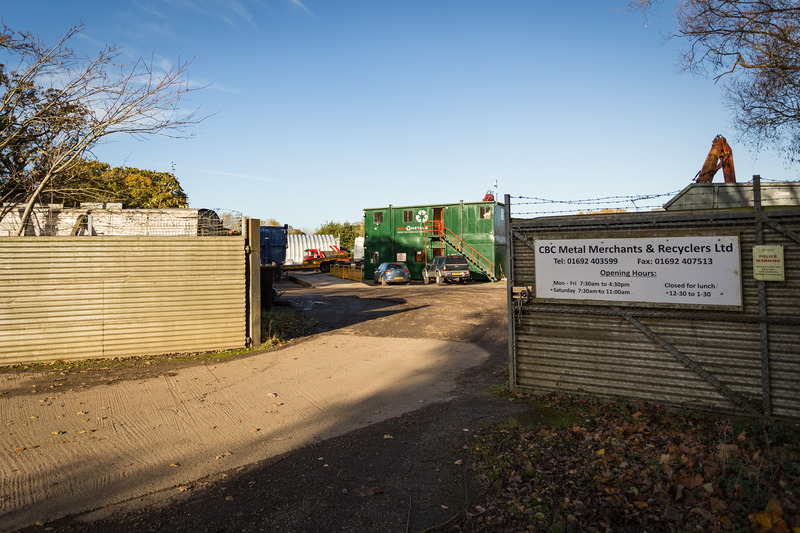 C.B.C Metals offer skip hire and container services throughout Norfolk for the storage and transportation. We are able to provide short term temporary or ongoing skip and container hire solutions to suit your volume requirements. A wait and load service is also available for immediate removal from site. End of life vehicles are required to be disposed of under the UK Governments End of Live Vehicle Directive (200/53/EC) which aims to recycle 95% of every vehicle recycled within the UK. Before an end of life vehicle can be recycled, it has to be depolluted. C.B.C Metals are a fully licensed Automotive Treatment Facility and our operatives ensure that all hazardous materials are removed from the vehicle and each element is recycled safely and efficiently. C.B.C Metals will also take care of the associated paperwork, we issue you with the correct Certificate of Destruction document and complete the destruction process on the DVLA website. C.B.C Metals also offers site clearance services, if you require assistance with site clearance or decommissioning, we are here to help. Hiab / self loading lorry. Please contact us to discuss your requirements in detail and we will be happy to provide you with a competitive quotation.